"Mediterranean style meets the bucolic Virginia countryside." 9486 Briar Lane. Where Tuscany meets magnificence in Delaplane. On a peaceful country lane in what has become known "the Nation's Horse and Hunt Capital", behind a gated entry TerraLucca awaits on nearly 20 acres of rolling countryside that is reminiscent of Lucca, the wine and olive region of Tuscany. TerraLucca is a Mediterranean-style estate with stucco walls and exquisite rooftops of Ludowici tiles. The rolling land is both stunning and private, offering long sight lines and exceptional views. The floor plan of the home is designed around an open air central courtyard that captures the light through the windows and four sets of French doors that open to the airy courtyard. The first floor includes two galleries along the courtyard that create wonderful flow for entertaining. Wooden cornices and distinctive woodwork are found in each room, including 6.5 inch baseboards. A two-story great room has a large fireplace of native stone taken from walls dividing the fields built during the Civil War. The 11.5' wood mantel comes from a local apple farm adding to the rustic charm and local provenance of the property. 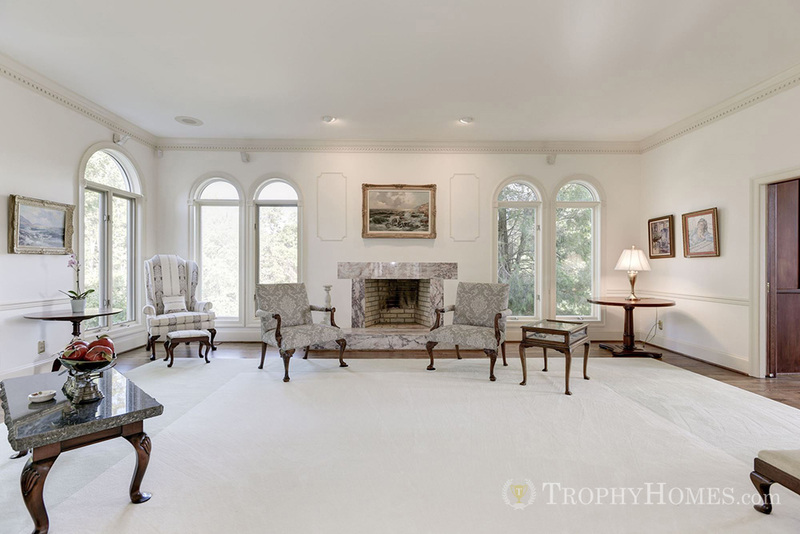 The great room has two sets of French doors that open to a deck overlooking the beautiful pastures and forest. The living room and dining room are gracious in size and provide endless views of the green surroundings. The gourmet kitchen has all the amenities a chef needs and an active family wants. The Imperial Stove with its commercial size hood and exhaust fan has six burners, broiler, griddle and two full-sized ovens. The built-in microwave, wine cooler, trash compactor and Subzero refrigerator/freezer complete the package of professional grade appliances. Beyond the kitchen is a powder room and generous butler's pantry. Inside a pampered paradise, surrounded by lavish comforts in all directions. The master bedroom and sumptuous bath are spa-like with a gas fireplace and two Juliette balconies to welcome in warm summer breezes. A gallery of closets leads to a private dressing room. Three other bedrooms and two full baths round out this floor on the opposite side of the house connect by a dramatic gallery walkway that overlooks the two-story family room. A third-floor turret is a special place for star-gazing, play room or just daydreaming. The finished daylight lower level is enormous offering a bedroom with large closet and full bath, a spacious recreation room, an eight-person Swedish sauna and a cedar closet and two closets that are used for wine storage on one side and luggage storage on the other. There is also a half bath that could easily accommodate a shower. Also on this level are the lower 3 car garage with equipment storage and a ground level patio with bucolic views. 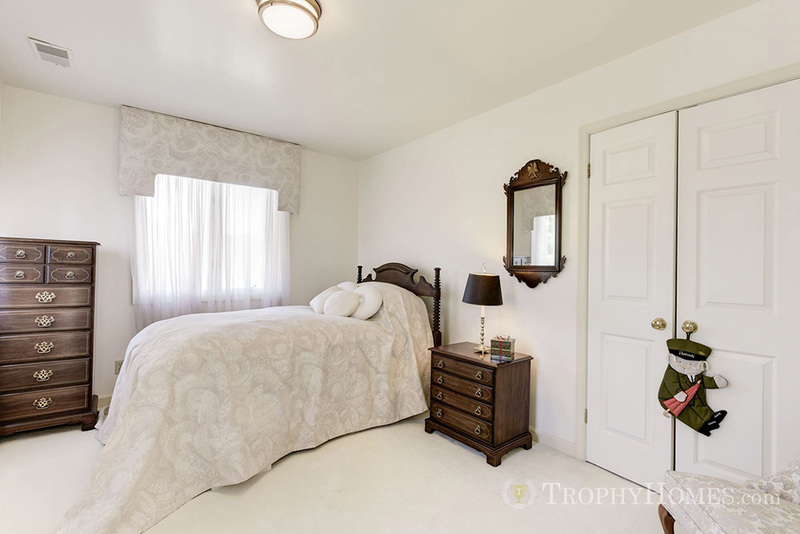 View the countryside and rolling hills with a large cross-fenced pasture and a run-in shed. The property is on the Piedmont Hunt- in the Fall, and the Hunt may cross the property with your permission. 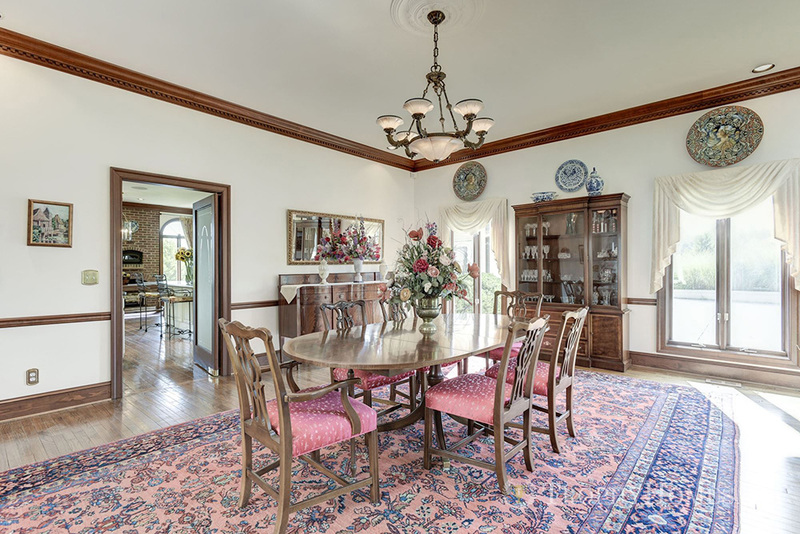 The location offers ideal access to the best of Hunt Country life, from Middleburg to Marshall, with fine dining, wineries, and equestrian events. There is easy access from DC via I66.